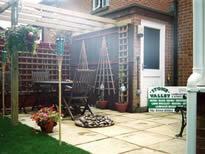 We provide a wide range of garden fencing and trellising solutions. The most popular garden fencing product we provide is the standard Overlap fence panel that you see bordering most properties. However, if your garden is in an open area and is exposed to high winds, we would recommend use of Closeboard fencing, as it much stronger than the Overlap. 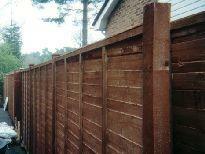 We can provide both Timber or Concrete Slotted Posts to erect the fencing. 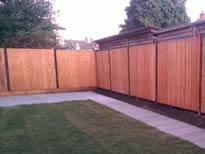 Whichever you choose, We set both types in concrete in the ground to give the fence extra stability. Our photo gallery features just some of the many fencing and trellises that we have installed for our customers.